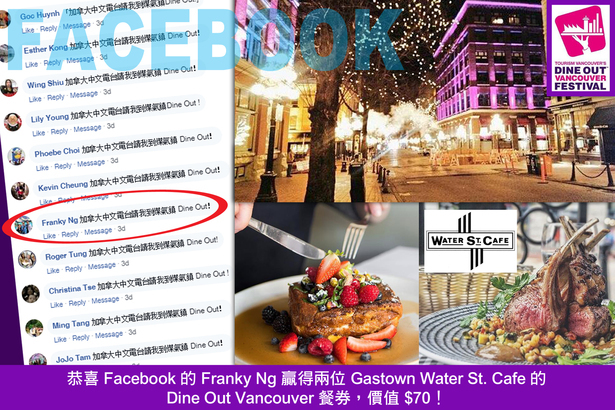 Congratulations to Facebook's Franky Ng, he has won a $70 dining coupon from Gastown's Water St. Cafe. The coupon has no expiry date, but if used during the Dine Out Vancouver period (Jan 18 to Feb 3), it can be used to redeem two lunch sets or two dinner sets, specially created for Dine Out Vancouver 2019. 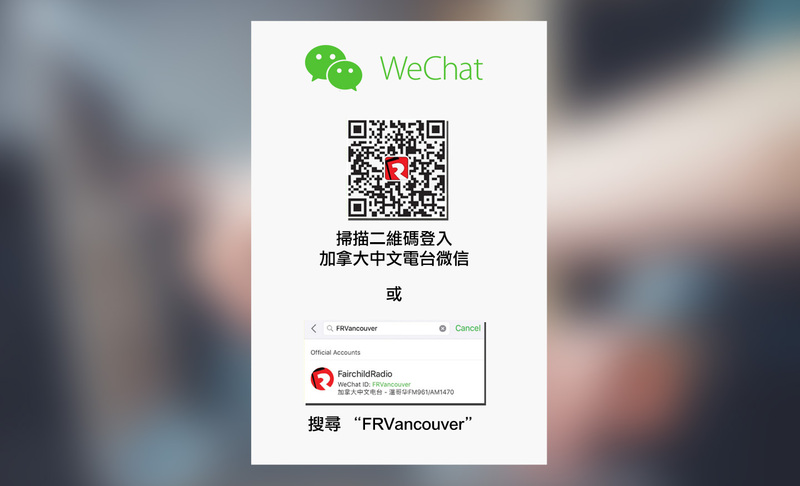 Stay tuned for more fabulous prizes from Fairchild Radio's monthly Social Media Game!